Happy Mother's day business sticker. If you're business is carrying out a mother's day promotion this year, this sticker is a perfect advertising tool to use. Let all your customers know you're selling limited edition products only available for mother's day. 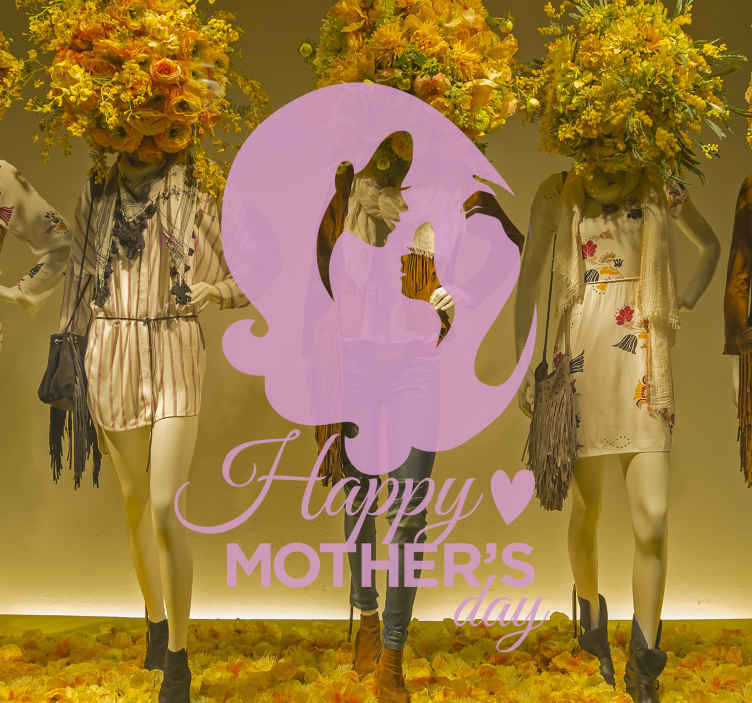 The sticker consists of the message "Happy mother's day" with silhouette figures of a mother and child. We use a special adhesive film that makes no mess and can be applied on any flat surface.